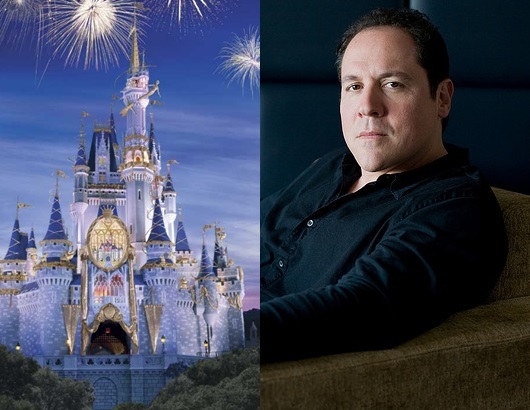 Jon Favreau Set To Direct A Magic Kingdom Movie For Disney, Could It Be Kingdom Keepers? Reports say that Jon Favreau will be making a film based on Disney's Magic Kingdom, could this be based on Ridley Pearson's best selling book Kingdom Keepers. Favreau is famous for films such as Zathura, Iron Man, Elf, and the upcoming Cowboys and Aliens, but this could be a major landmark in the film maker's career. Disney is already making a Haunted Mansion movie and a Tiki movie, which is not based on The Enchanted Tiki Room Disney attraction, so this is no surprise. I wouldn't be surprised if they made a movie about Thunder and Space Mountain, as well as a Mission Space film. The idea has been proven to be successful when the Pirates of the Caribbean ride was turned into a popular Disney franchise. Another possibility is that the film could be about Walt Disney's history creating the park, which would be interesting. I can imagine John Slattery (Played Howard Stark in Iron Man 2, who is very similar to Walt Disney) portraying Disney himself. And in the case of Kingdom Keepers, Josh Hutcherson as Finn. I'm a fan of Favreau, so whatever he does will be incredible. What do you think of a Magic Kingdom movie directed be Favreau?